Touching Tiny Lives in Lesotho: Happy Birthday TTL! Today TTL turns 8 – and we’re feeling pretty good about it. That’s eight years of being the one who is willing to go where no one else goes. Eight years of helping families and communities fight back against the HIV epidemic. Eight years of changing the lives of children, working to make sure that they get the opportunity to celebrate their own richly deserved birthdays. ­– Grandmother caring for a 4 year old child who was referred to TTL because of malnutrition. The child’s mother is away in South Africa trying to find work. "There have been positive achievements from TTL's services, especially for my child who managed to live because of TTL's services and he is now grown up. I had five children who passed away because I did not know I needed to attend clinic services and access HIV testing and counselling." -HIV positive mother with twins. 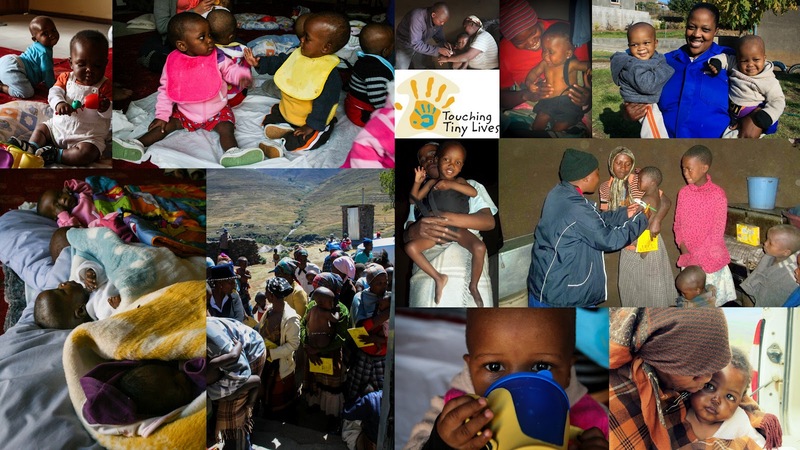 TTL has supported the family since the twins were only a few weeks old. They will celebrate their first birthday in July. -The caregiver of a TTL client who was brought to the safe-home after being hospitalised for kwashiorkor. Both the mother and father of the child have passed away from TB and there are 10 other people in the household, 8 of whom are under 18. The child was able to return home in February 2012 where the Outreach team continues to work with his Aunt to ensure his health and development stay on track. –Mother of TTL client who was referred for malnourishment. The family was referred to TTL because the mother is suspected of having cancer and was ill and unable to breastfeed. The mother is the only adult in the household and there is no income so the child was being fed sugar water before TTL’s support. -Grandmother of a child TTL started supporting at 3 months after the death of his mother from HIV-related causes. There are 11 other people in the household, six of whom are children.